Turn up the heat with one of our vibrant red blinds. We’ve softly textured Roman blinds, practical Rollers, sleek Venetians and so much more. Discover our range of red Roller blinds, ideal for any room looking for a touch of red. 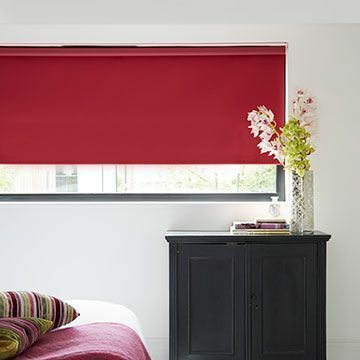 View our range of red Roman blinds, perfect for any room looking for a touch of red. Discover our range of red Venetian blinds, perfect for any room looking for a touch of red. 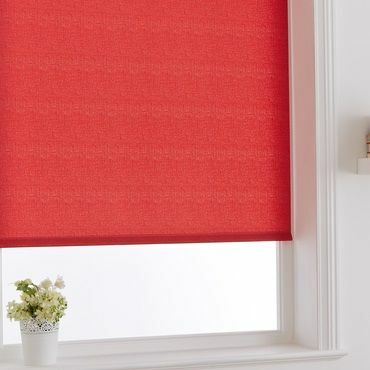 View our range of red blackout blinds, perfect for any room looking for a touch of red. Flowers and stripes always prove popular with our customers, now we’d encourage you to mix both for a look that’s bang up to date. Hillarys have a wide selection of shades to choose from when picking out red blinds for your windows. Lively scarlets and crimsons add a splash of excitement to your room, while rich rubies and garnets create a warm effect. In feminine décor schemes, go for a cherry or cerise blind which features a hint of pink. Or for a fresh look, pick a vermillion design with a splash of orange. Once you’ve settled upon the perfect shade for your red blind, it’s time to consider which design is best for you. If you’re having trouble making your mind up, your local Hillarys advisor will be able to offer expert advice at your free home appointment. The great news is that Hillarys make life simple. If you need help choosing the ideal made to measure blind, your local advisor is on hand with expert advice. 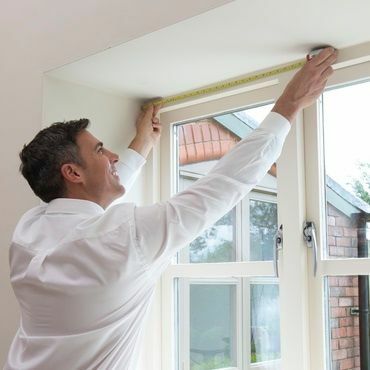 They will measure your window and provide you with a no-obligation quote. If you choose to place an order, we’ll pop back to fit your made-to-measure blind. It couldn’t be easier or more convenient.